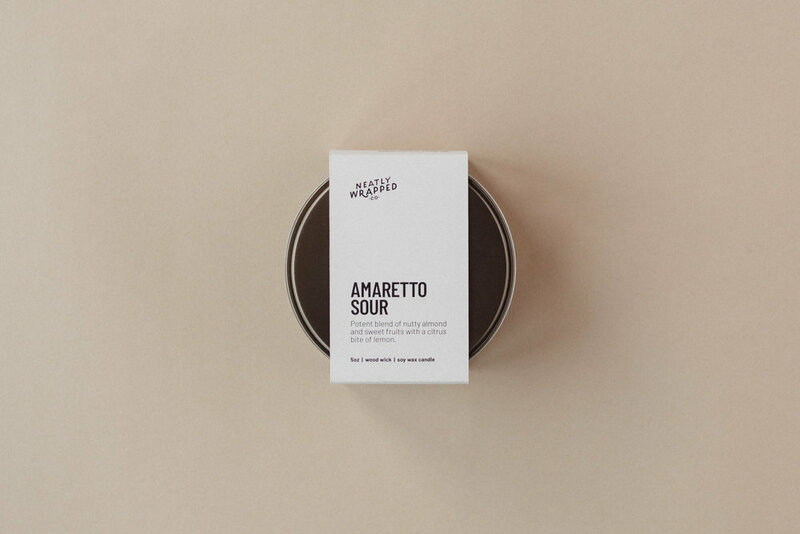 Amaretto Sour — Neatly Wrapped Co.
5oz wood wick soy candle in a bronze tin, with an Amaretto Sour fragrance. Our first ever bespoke candle and the fragrance blend that started our journey. A strong, distinctive fragrance blending nutty almond and sweet fruits against the citrus bite of lemon. Our original candle and the one closest to David’s heart - this has strong notes of amaretto, cherry, almonds and marzipan, and a sharp lemon bite to subvert it beautifully. The fragrance oil in this candle contains Citral; d-Limonene; Geraniol; Geranyl acetate; ethyl 2,3-epoxy-3-phenylbutyrate.